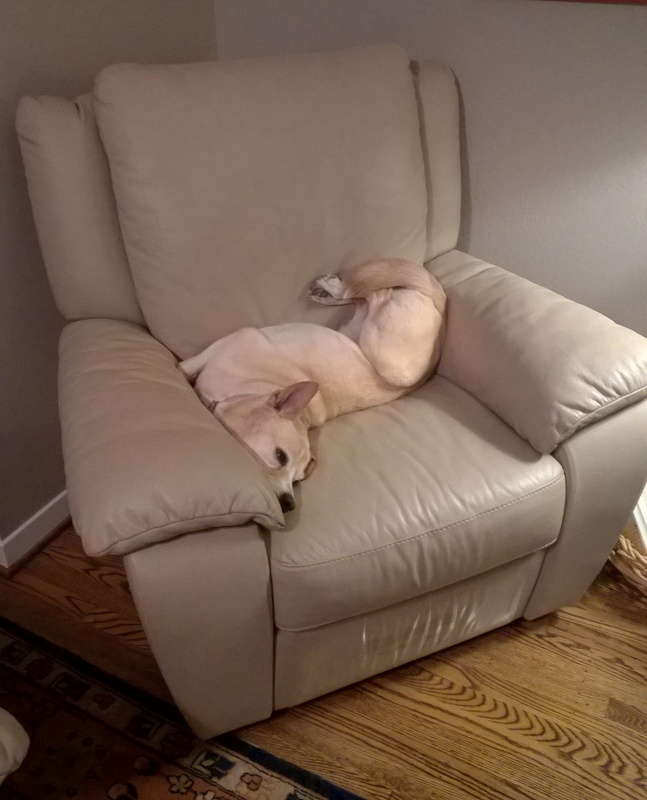 Yesterday evening, Lisa captured this image of Sally doing a Yoga pose on the recliner. Not sure what pose this would be named? I don’t think I could bend and twist as much a Sally, who happens to be 12 dog years or 84 in people years. The yoga makes Sally quite mellow.